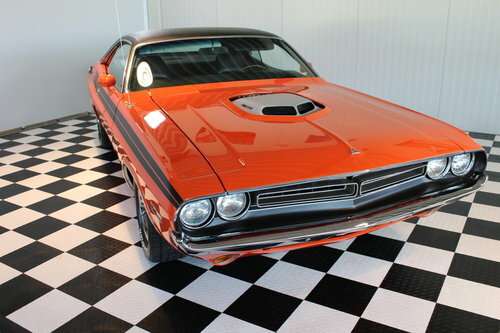 This concours restored ULTRA rare 1971 Dodge Challenger RT 383 4bbl SHAKER !, thats all numbers matching and loaded with many highly desirable special options and in the amazing highly desirable Hemi-orange factory color. 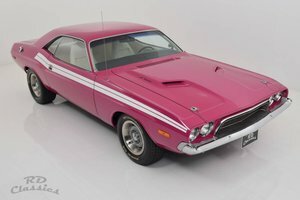 With the 440-4bbl engine no longer available in 1971, this big block car was the best you could get besides the Hemi in 1971. Besides the car being a true RT and real N96 shaker car of which only around 35 ! 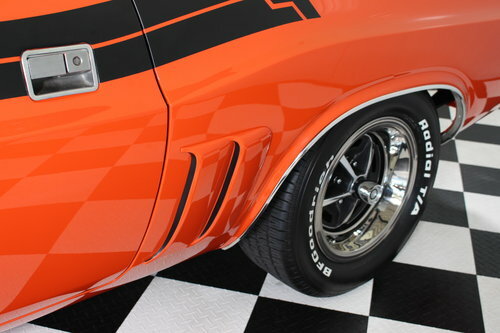 were build, this car is even more special as its a true Canada export car and in this color combination probably a REAL 1 of 1 ever build car. The car still carries all its original Vin stamps, Engine and trans Vin's amd correct date's, its factory fender tag and it also comes with 2 ! factory build sheets to prove its pedigree. 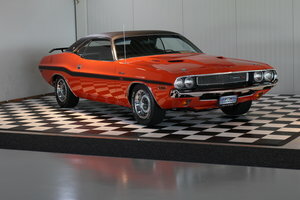 This car must be every Mopar and muscle car fan's dream as it has everything you could wish for and more. 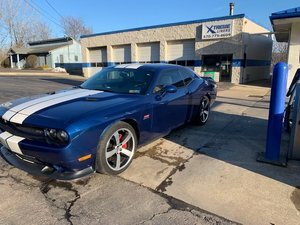 The combination of the great and high impact paint color, all its desirable options, a True RT and a SHAKER.. is all here in 1 car, so what more could you want ! 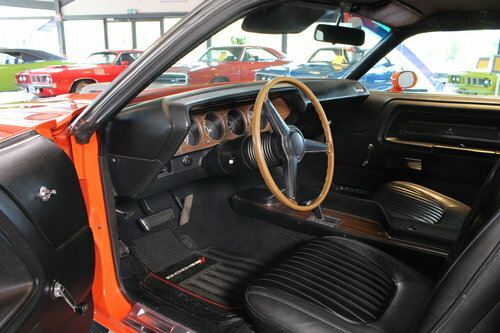 Especially for this price as the restoration costs alone were more than 125k ! The complete car. its drive train, suspension, steering and brake components are rebuild and this baby drives amazing and like new. 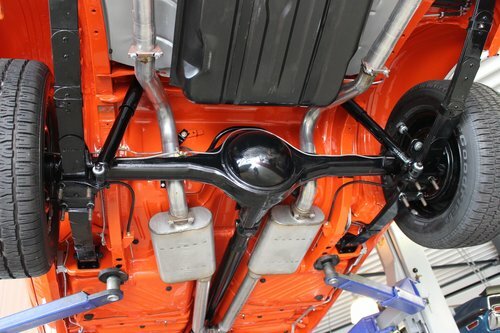 The body and all components are factory original and completely solid and rust free. 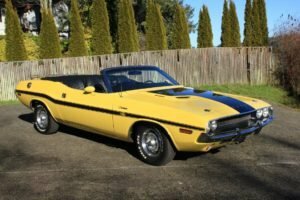 Some of its options are : True RT, Shaker hood, High impact factory paint, Black vinyl top, Power steer and Power front disc brakes, Bucket interior with floor shifter, 3 spd wiper, Am/FM Stereo, Wheel opening moldings and more! 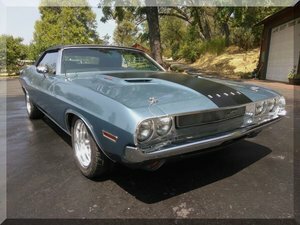 Its a car that gets many Thumbs up every were you take it and its in amazing overall condition and drives as good as the car looks. Its a show winner every were you take it. 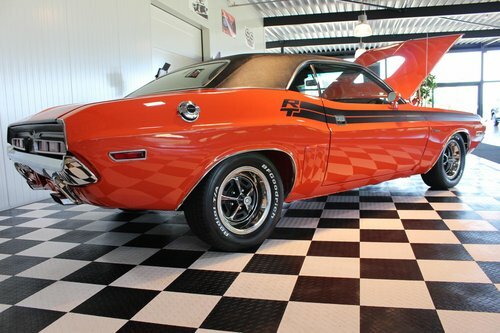 How often do you see an unspoiled, original Challenger RT ? 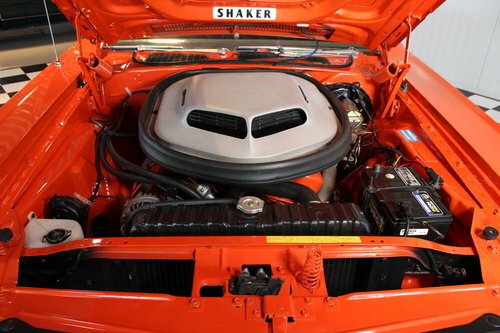 and especially a real SHAKER ?.. For this money this car is a great investment for the future and will give you great fun to own and enjoy.